Audition dates for "Curious Savage"
Auditions for "Curious Savage" directed by Mary Jo Chadwick will be Monday and Tuesday, March 1 and March 2, at the Western Heritage Museum at 6:30 p.m.
(The Playhouse is in use for rehearsals the musical "Crowns", directed by Evelyn Rising — show dates are March 11, 12, and 13...make reservations today because it is going to be a wonder show!) So thus, the auditions will be at Western Heritage Museum theater. Show dates for "Curious Savage" are April 16-18 ad April 23-24. Roles for the heartfelt comedy include 6 females and 5 males, ranging in age from 20ish to 60ish. Please mark your calendars and audition. Mary Jo Chadwick is making her directorial debut at the Playhouse so don't miss this opportunity to work with her! Introducing the cast of "Crowns"
"Crowns" is right around the corner; shows are Thursday, March 11th (8 pm), Firday, March 12th (8 pm), and Saturday, March 13th (2 pm AND 8 PM). Reservations can be made by calling 575-393-0676 or by using the email link (see the right sidebar). Second, please don't forget the Broadway touring musical "Camelot" is this Thursday evening at Tydings Auditorium. For reservations, go to www.selectseatlubbock.com, scroll down and make your selection. Tickets range for about $8.75 to $50. Finally, we will soon be wrapping up our corporate sponsorship and Playbill advertising campaign. 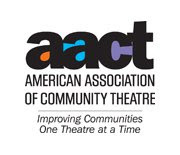 Thank you to all those you have given to help make community theater happen. It takes real dollars to open the doors and turn on the lights. That would not happen without the financial support of our sponsors and advertisers. Just a quick notice to all that the Hobbs Playhouse board of directors will meet this Saturday at 1 p.m. at the Playhouse. This is a change from our typical schedule of meeting on a Monday evening. We will be discussing budget, the coming season, corporate campaign and goals for the new year. Sorry for the short notice, folks...yes, it's tonight!